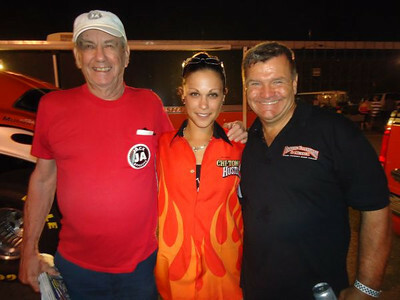 The 50th anniversary race at Maple Grove was a good old fashioned match race featuring some of the sport's greatest superstars and a great funny car and jet show. Jack Redd, Michele Feil, and Rocky Pirrone. 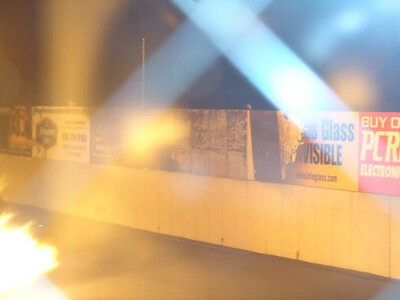 Rocky and partner Steve Musser had fun despite hurting the Trans Am. The Pirrone, Ellershaw, and Musser pit served as the primary party location after the event! 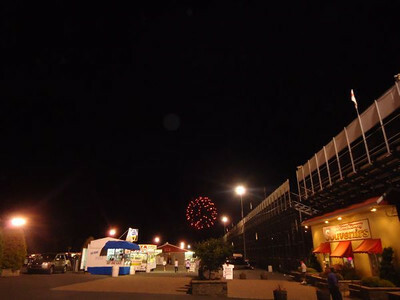 Fans were treated to a great fireworks show that kicked off as Bob Motz made his last run and continued for ten to 15 minutes afterwards. 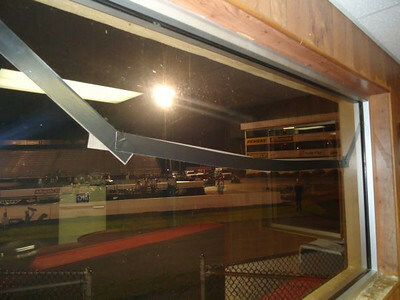 One of the windows in the bottom of the timing tower also cracked from the pressure of burner pops from the Bob Motz jet Kenworth! 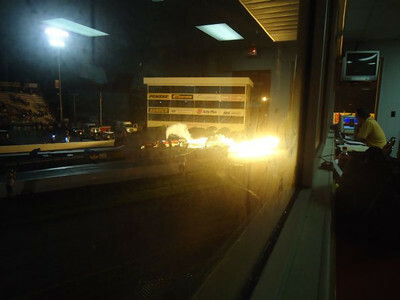 Three of the sponsor placards on the wall behind the starting line fell prey to the afterburner of big Bob Motz and his jet Kenworth! K.C. 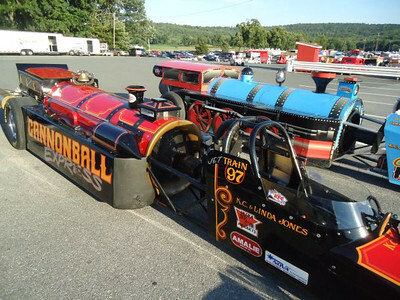 Jones and Paul Kelley light up the night with their locomotive-themed jet dragsters. 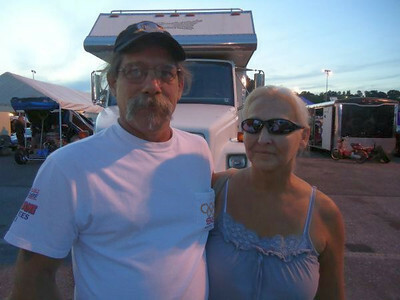 Fiberglass man extraordinaire Rick "Pappy" Stief and wife Vicki took in the race. 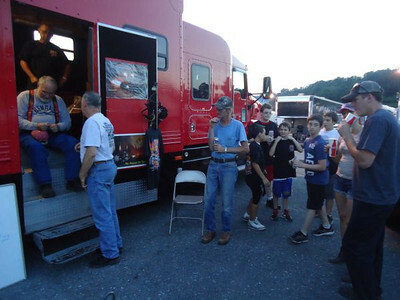 Bob Motz entertains a line of autograph seekers after his amazing runs. 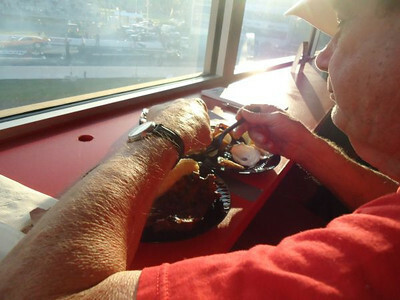 Mellisa, Dana, and Gordon from The Original Seafood Shanty catered the press room with an AMAZING seafood feast. Jack Redd digs in. 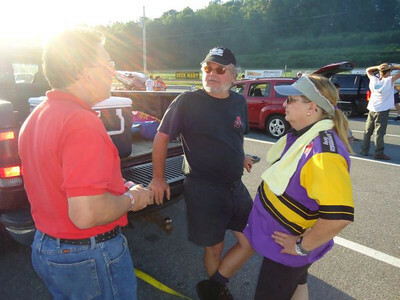 Announcer Jim Krassowski talks with Danny and Donna O'Day. 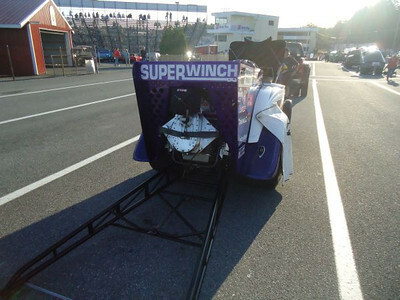 Business end of Danny O'Day's Superwinch wheelstander. 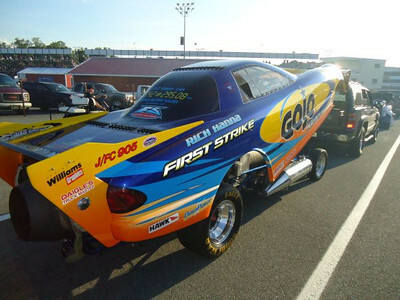 The Rich Hanna driven GoJo Hand Cleaner Trans Am jet funny car. 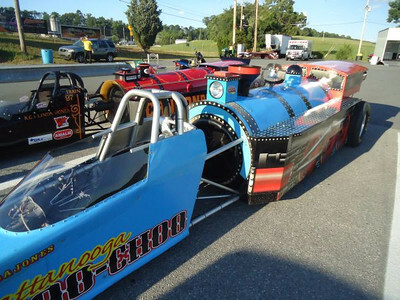 Best times for the jet funnies were 5.94, 264 to 6.02, 267 with Rich taking the match. 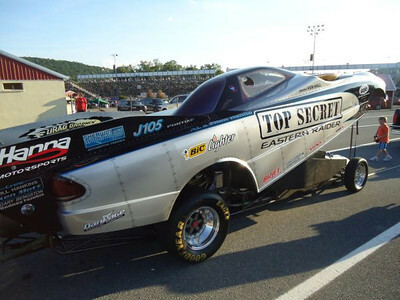 The futuristic Top Secret jet Trans Am driven by Ken Hall. The K.C. 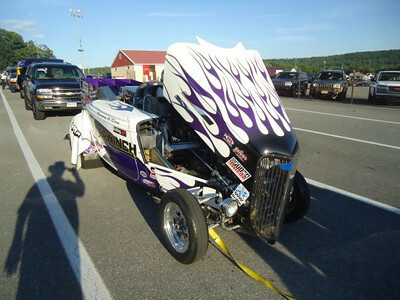 Jones jet dragster show was a blast and the fans loved it.